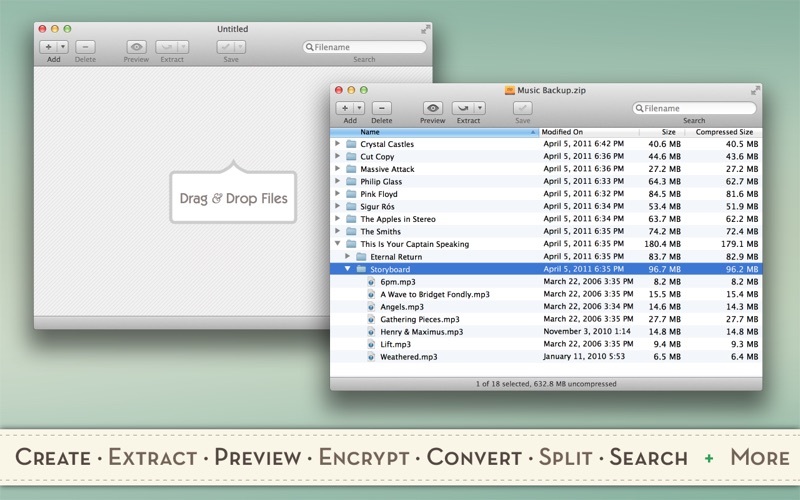 Easily create, open and preview popular archive files like ZIP, RAR, 7z, TGZ and more ( 30+ formats supported ). • DUAL-MODE: switch between auto-extract and content-view modes. Entropy has been designed specifically for your Mac. It supports OS X specific technologies like extended file attributes and resource forks, which are often missing in other archives. Equal attention has been paid to aesthetics, usability and technology while developing Entropy. 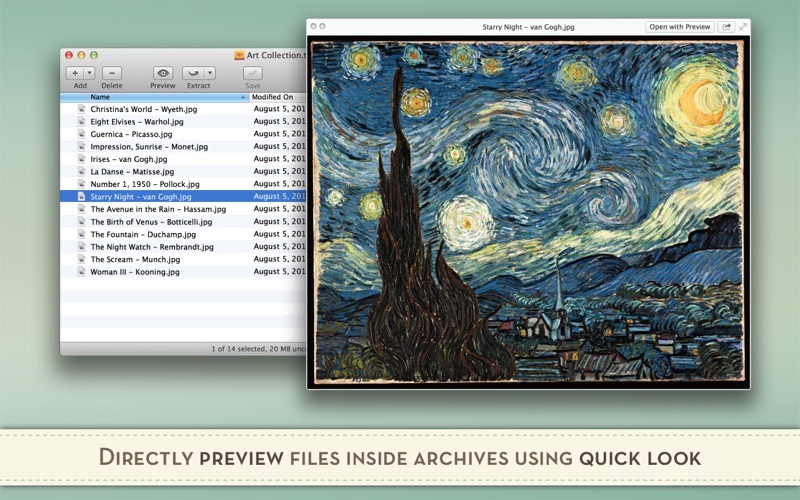 Entropy directly reads and writes archives, unlike most other archivers for Mac which are simply "front-ends". The end result is that Entropy is often discernibly faster. If you ever have any problems with Entropy, just send an email to support@eigenlogik.com and we'll help you solve it - fast! - Bug fixes for OS X 10.9 (Mavericks). - Fixed issues with RAR v5 archives. - Fixed a bug that could lead to symbolic links being stored as regular files in RAR archives. - Fixed issues with Quick Look previews. - Fixed a bug that could lead to file modes being ignored for tar archives. Requires macOS 10.6 or newer.